Yarns of This Thing of Paper: Dye Ninja, an Interview. Yarn. The cornerstone of every knitting obsession. When I set out to make This Thing of Paper, I knew I had to get the yarns right. I spent a lot of time looking for yarns that had the right feel and the right colours. Sheila of DyeNinja is a real genius with rich, jewel-like colour with subtle semi-solid effects. When we started talking about the project, I knew she understood exactly what I needed in terms of colour and texture. Hello. You were a relatively new yarn dyer when I first came across your yarns, and I quickly became obsessed with your sense of colour. Could you tell us a bit about yourself? A lifetime ago, well four years (they were big years), I was a successful Programme Manager with thirty years experience of implementing Computer Systems for Banks and Hospitals. I was good at Planning, Budgeting, Organising and Risk Assessment. But there wasn't a lot of time for knitting, and I had way too many Capital Letters in my life. One day, on the way home from a wool dyeing workshop, I had a life-changing moment. My heart and mind were filled with the possibilities of colour and wool, alpaca, silk, and so on but mostly colour; glorious, bright, joy-filled, life-enhancing colour. So I gave up the salary and the car and the ninety-hour weeks (I kid you not) and the capital letters and became a yarn alchemist. Yarn alchemist. I really think that sums up your approach to colour and bases! Could you tell my readers about your yarns and colour, because I think you do something very special. Yes, yarn alchemist! Now, my life revolves around steaming cauldrons, jewel-like dyes, luxury yarns and vibrant colour. For me, the most important thing about yarn is that it handles well - if you're going to spend some of your precious leisure hours working with it, then it has to feel good in your hands. So I have luxurious yarn bases that I treat with care and respect, so that I can give you vibrant depth of colour without the dye bleeding, or the yarn scratching, or splitting and unwinding itself as you work. Then, with beautiful yarn as a place to start, I layer on the colour - oodles of colour. 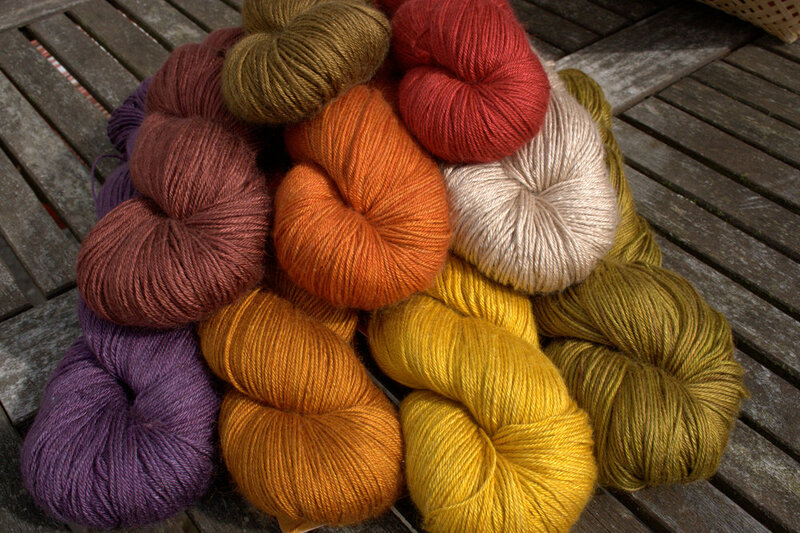 I'm looking for depth and vibrancy, a bright richness of hue in almost solid, semi-solid and tonally variegated yarn. Used as a single colour the layering and shading give life to what might otherwise be flat colour, so a single-coloured sweater becomes a thing of infinite interest as it moves in the light; while the subtlety of tonal changes will set-off beautifully those multi-coloured and speckled favourites in the stash. That yarn is absolutely spectacular and your colours are so subtle & rich, it was difficult to capture them properly. We spent ages trying to get the photography right! I also have a little box you made me of all your shades and I often go back to it just to play with colour combinations. I love how rich your colours are, yet they are never overpowering or flat. I have asked the next question to all my lovely yarn supporters, but I think I already know your answer .. seeing as This Thing of Paper is about books, what book would you recommend? What - apart from anything by Sir Terry Pratchett? (Guards! Guards! Mort or Witches Abroad would be good places to start). I knew you were going to say Sir Terry Prachett. In fact, you do a series of colourways inspired by Prachett's work - the proceeds of which you use to fundraise for Alzheimer's Research UK. As someone whose family has been touched by dementia, I am very grateful for this. Thank you. I have a website shop with good photos and a simple process for buying. But one of the great joys of this life is yarn festivals. I love everything about them from deciding which colours to take, to flitting across country with the car stuffed to the gunnels with yarn and setting up my stand with dozens of like-minded crafty folk. Best of all I love meeting the people who knit with my yarn, who seek out vibrant colours and delicious yarn bases; they always have interesting things to say and they're just such nice people. I try to go to at least half a dozen festivals each year, this year it's been Edinburgh Yarn Festival, WonderWool Wales, York Wool Fest, Perth Festival of Yarn, Yarndale, Loch Ness Knit Fest and Nottingham Yarn Expo. Next year I hope to add festivals further afield! I'm already looking forward to seeing everyone. And everyone should look forward to seeing your colours and bases. I bought some yarn from you recently earmarked for a new design. You do stunning work, Sheila. Thank you! 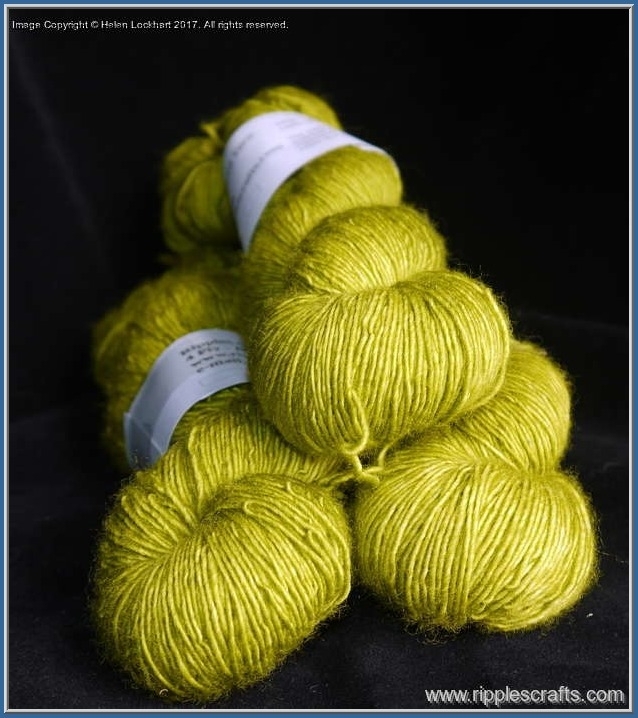 A big thank you to Victoria of Eden Cottage Yarns for sending me this sneak peek of her new yarn, Milburn 4ply. It arrived last week and it brightened up the day. I am yet to wind any of the skeins and swatch, but I have played with colourwork patterns in my head. That oatmeal/grey colour is particularly speaking to me - I am going through a bit of a neutral phase - and I love how the other colours sing to each other. Designing a palette is always hard (every colour needs to be distinct but still play well with the others) but Vicki has pulled it off. The UK has some of the most amazing indie dyers and I feel so fortunate that I have ready access to names like Vicki, Skein Queen (new website! ), Juno Fibre Arts, Lioness Yarns, Kettle Yarn Co., Triskelion Yarns, and The Knitting Goddess. Yarn is shipped quickly and I get to see them 'live' at the various shows. 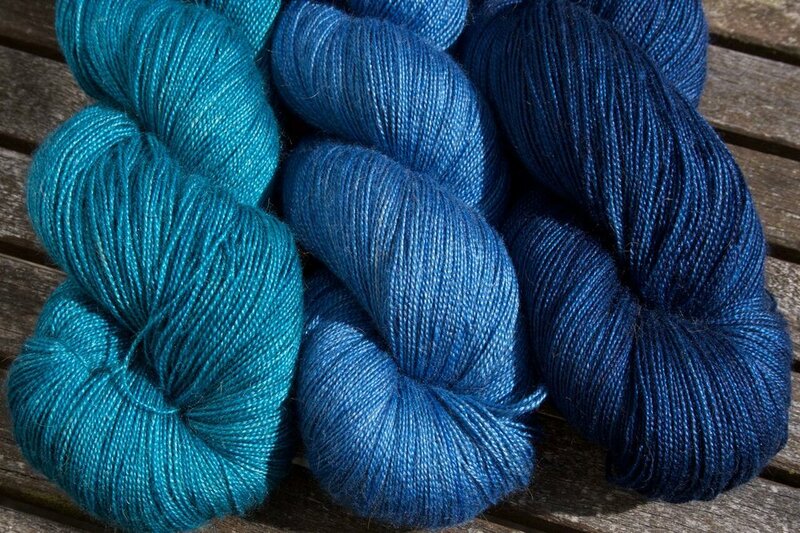 Scotland is particularly strong on indie dyers: I'm a huge fan of Old Maiden Aunt; RipplesCrafts' amazing colours are pulled from her Highland surroundings, and The Yarn Yard is well-established as a go-to dyer for sock lovers. One of the many things I really appreciate about many UK dyers is their commitment to offering a variety of bases - many of which are UK-specific breeds. Sourcing the right bases is one of the hardest thing for an indie dyer (followed closely by being able to source enough for a sustainable business) but so many of them are now selling yarns that are so much more than just a merino or a wool/nylon mix. They are showing a real commitment to showcasing the best of British fibre - and I think this is something we should celebrate. They are small, local businesses, they are supporting other small, local businesses and knitters get to discover what makes Polwarth wool different from Corridale wool, say. Win-win for all concerned. Louise Scollay of KnitBritish recently wrote about the Dos and Donts of Knitting Locally. It is a wonderful post which pokes holes in a lot of myths surrounding knitting locally. It does not have to be more expensive, nor is it more difficult to care for. Being thoughtful about your yarn choices is maybe something to requires a bit more mindfulness (especially next time you are in a yarn shop and are overcome with omg, all the yarn!) but it is doable and rewarding. I'd love to see a big collaboration between indie dyers and local designers. I try to work with as many indie dyers as I can, but I am just one person. Wouldn't it be wonderful to see a plethora of the best UK indie designers collaborating with the best UK indie dyers? How do you as a knitter feel about this? What would you love to see happening within the UK indie community? And who are your favourite dyers? I know there are some dyers I am yet to discover!